Arneson Rocker Plates, anyone using them? 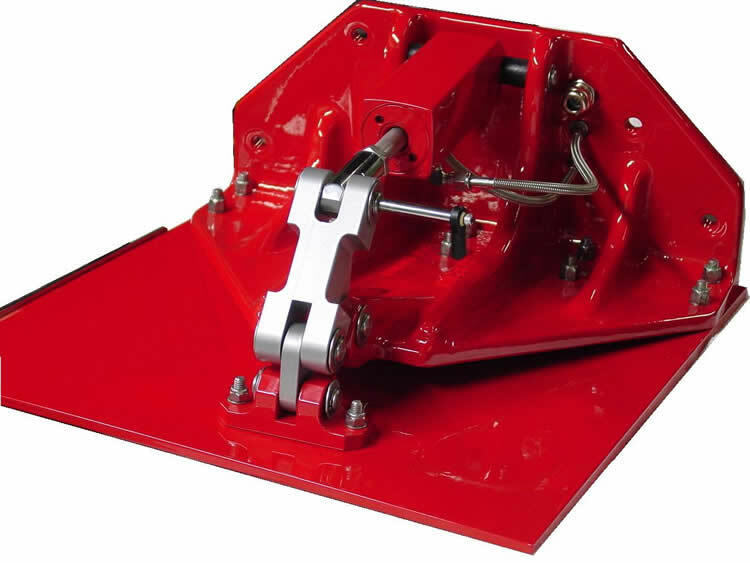 Wondering how the Arneson Rocker Plates compare to a conventional K-Plane tab. How do they compare in price to a K-Plane? I can't give you any first hand info but I did buy a set to install on my Donzi Blackhawk to put a little hook in the hull. 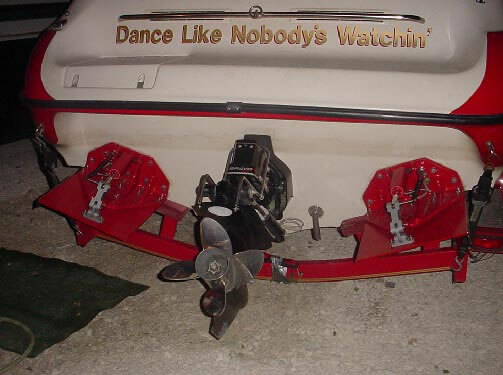 But I sold the boat before I got to install them and sold the rocker plates after. But, I did talk to a couple people that used them and they had nothing but good things to say about them. They said the boat could run faster in the sloppy/rough water because the rocker plates were part of the running surface as opposed to K-Planes that "drag" in the water. Made sense to me! I talked to a guy that had them on a smaller boat and he mentioned that they worked really well. You can adjust between giving the boat rocker or adding hook to the bottom. He did say that they required constant adjustment. Hope this helps. They said the boat could run faster in the sloppy/rough water because the rocker plates were part of the running surface as opposed to K-Planes that "drag" in the water. Made sense to me! Not making sense to me. Any help here? Rocker plates use laminar flow to direct the water rather than a hard anlge like K planes. Plus the flow can be vectored up giving a "rocker" effect. Last edited by glassdave; 01-17-2008 at 11:47 AM. Since rocker plates are mounted flush with the bottom of the hull they become part of the running surface. They adjust in the middle of the plate making them bulge outward(rocker) or inward(hook) to control the attitude of the boat. Most people want them to add rocker which raises the bow, loosens the boat up and adds speed. My Blackhawk had too much rocker from the factory and I wanted them to add hook for bettr control. Picture is worth a 1000 words! Those pics sum it up nicely! I have a pair in excellent condition. Fresh water use only. Drag induced from a small contact area on each tab is less than the drag induced from the total area from each rocker plate in constant contact with the water. If both are able to alter the flow of water past the hull downward, and and thus force the stern up and the bow down, why not choose the tab that creates less drag? I understand the ease or correcting a problem with a simple bolt on. But why add wetted surface when either rocker or hook can be added or removed from the hull, or the cg can be changed? Quick Reply: Arneson Rocker Plates, anyone using them?